“Sometimes I wonder whether some other force is at hand–something equally obscured, warning us that none of us should be in Antarctica at all. I tell them I was here when the massive cruise ship found herself trapped and sinking in a windswept cove of pack ice. I tell them that the ship was too big and too fragile to be so far south, and that my ship, the Cormorant, was the closest one and still a full day’s travel away. I tell them that, below the Antarctic Circle, the phrase search and rescue has little practical meaning. There is simply no one around to rescue you. My husband is going to Antarctica in January. It’s been a lifelong dream but, as he points out, even though he’s traveled more than I have, I’ve been to more continents. So I think he may be partly motivated because he’s trying to catch up with me. We get competitive about traveling in our family but, given their extensive travel for work, our sons are leaving us far behind when it comes to the number of countries visited. Anyway, now that the time is drawing near, I thought I’d better pay more attention to my husband’s upcoming trip. When I learned about the recently published novel, My Last Continent, I had to pick it up, though it doesn’t exactly inspire confidence in the safety of Antarctic cruises, because it’s about a disastrous one. On the other hand, I comfort myself that my husband will be traveling with a vastly experienced crew, on a polar research vessel expressly made for the perils of Antarctic waters. The Akademik Sergey Vavilov is one of only two polar expedition cruise vessels that conduct active scientific research in the months between the Antarctic and high Arctic seasons. The trip is sponsored by a local travel/adventure group, Pack, Paddle & Ski. Rochester is lucky to have this amazing organization, which leads trips around the world and has raised thousands of dollars for charity. I don’t tend to like fiction with a message, but My Last Continent by Midge Raymond is a beautifully written love story and a what-would-happen-if novel. As if we don’t have enough to worry about given climate change, My Last Continent highlights an issue I wasn’t aware of. In addition to polar research vessels that take tourists to Antarctica, there are now oversized luxury cruise ships that travel to both northern and southern extremes. Because the polar ice is melting, such ships can go where they have never gone before. The problem is, these large ships are too fragile for treacherous polar waters, and they carry way too many passengers. Should the ship get into trouble, it’s not likely all the passengers could be rescued. For one thing, there is no one around – polar waters are isolated and too far away from other ships. This is what happens in My Last Continent. I learned this on the first page, though not the details of who survives and who doesn’t, and I was of course compelled to read on to see how it all played out. Another problem is that these cruise ships are highly disruptive to fragile wildlife populations. There is beautiful writing here; it is not simply a disaster tale. Midge Raymond takes us deep into the heart of Antarctica: its weather and terrain and, most of all, it’s wildlife. At the same time, it is a portrait of two complex characters–explorers and naturalists who are in love with this forbidding land as much as they are with each other. If you like books about adventure and travel to the wildest reaches of nature, and if you are concerned about planet Earth, I think you’ll love My Last Continent. This is Midge Raymond’s first full-length work of fiction. I look forward to reading more. Midge Raymond is also the founder of Ashland Creek Press. Here is a Daily Beast essay she wrote about cruise ships in the polar regions: “Cruise Ships in the Arctic Take Titanic Risks.” It is truly frightening. Any books about Antarctica to recommend? Which wild and faraway places would you like to visit someday? Let us know in the comments. The Collapse of Western Civilization is a disturbing 50-page work of fiction that reads with the authority of nonfiction. In the Second People’s Republic of China in the year 2393, a scholar writes an account the Great Collapse of 2093, brought about by failure to take action on climate change. Pair it with CCR’s Bad Moon Rising; you can read it in an hour or two. The book came about when co-author Naomi Oreskes, a geologist and historian who teaches at Harvard, reviewed the scholarly literature on climate change to see if indeed there was a lack of consensus among scientists, as is often claimed. After looking at 1,000 peer-reviewed articles, she concluded that in fact scientists do agree that a high concentration of greenhouse gas is causing climate change. When Oreskes published her findings in Science, she was championed by the likes of Al Gore. At the same time, to her astonishment, she began receiving hate mail. As she said in an interview, articles published in the scholarly literature are typically ignored by the public. 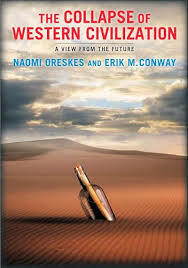 She and coauthor Eric Conway hoped a work of fiction that remained true to the facts of science might change opinions. Conway is a fan of science fiction and has been especially influenced by Frank Herbert’s Dune and Kim Stanley Robinson’s trilogies about Mars and climate change. It’s unsettling to read about ideas and ways of life that we take for granted portrayed as extreme short-sightedness, self-delusion, and magical thinking. The Collapse of Western Civilization will give you a jolt. 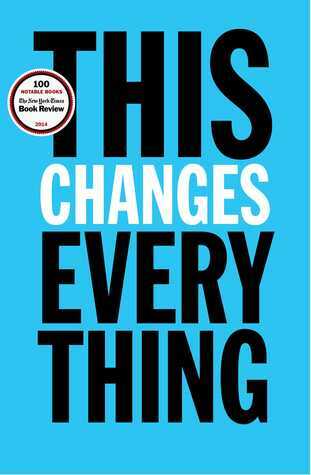 It’s a quick, page-turning read to put you in a receptive frame of mind when the UN/Paris Climate Change Conference begins on November 30. For an antidote to all the doom, read Joanna Macy‘s books, Coming Back to Life and Active Hope: How to Face the Mess We’re In Without Going Crazy. See also her short film, Joanna Macy and The Great Turning, about civilization’s shift from industrial growth to sustainability. Have you read any good books about climate change? Are you planning to follow upcoming events related to the UN Conference on Climate Change? Are there local activities planned for your area? It still amazes me that there has not been more discussion of climate change in the media in the United States, nor have the presidential candidates said much. But we seem, finally, to have turned a corner; more people are paying attention. Recently, stories have been published about Exxon’s alleged campaign of climate change disinformation and denial, while another industry leader has pledged to be carbon neutral by 2030. This week’s Hurricane Patricia was the strongest hurricane ever recorded at sea, while climate scientists expect 2015 to be the hottest year on record. I’ve a son living temporarily in southern California, and I just read that mosquitos carrying dengue, chikungunya, and yellow fever have arrived. Scientists believe they are rapidly reproducing in part because of the drought. Countries around the world are preparing for the 2015 UN Conference on Climate Change to be held in Paris November 30 – December 11. There will be climate marches in major cities around the world on November 28 and 29 and a Mass Mobilization and Civil Disobedience Action in Paris on December 12. When Pope Francis visited the United States in September, he spoke to Congress, the United Nations, and other groups about the need for action on climate change, framing it as the greatest moral issue of our time. 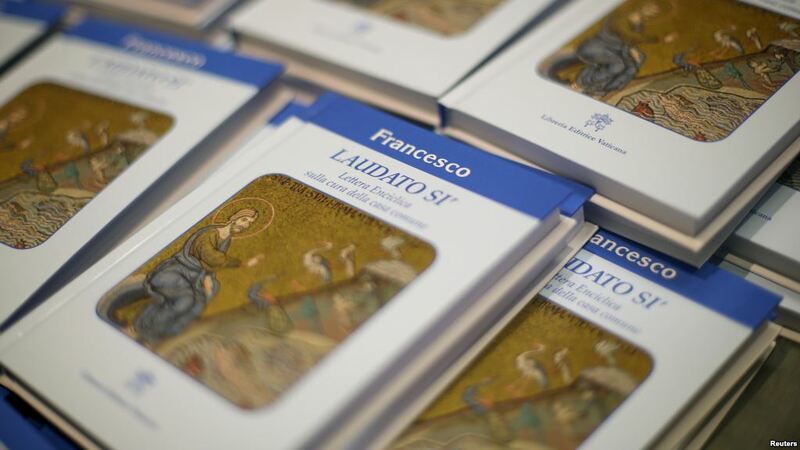 His climate change encyclical, Laudato Si’: On Care for Our Common Home, calls for the world to adopt an integrated ecology that combines eco-justice, which understands the earth has limits, with social justice, which recognizes that the poor are the hardest hit by the ravages of climate change. The Pope calls for “a revolution of tenderness, a revolution of the heart” in regards to the earth and the earth’s poor. Pope Francis spoke with great passion and love about families during his visit to the US. There are many parallels between our nuclear families and the family composed of all creatures on mother earth, aren’t there? Are you planning to participate in any climate change events before or during the UN Climate Change Conference? Do you belong to a climate change group? If you’ve read other good books about the topic, please let us know in the comments. If you believe we need to act to prevent disastrous climate change, please share this post on your favorite social media. In the novel Arcadia, Bit and his family leave the dying commune they helped establish and move to New York City when Bit is fourteen. As an adult with a teen-age daughter, Bit is a good man who nonetheless feels guilty over what he calls his selfishness: his greatest concern is Grete’s survival in a world rendered dangerously unstable by climate change. No matter what happens, he says to himself and any greater power that may be listening, let Grete survive. That’s something I wonder about too, the kind of world my sons will inherit and the challenges they’ll face. 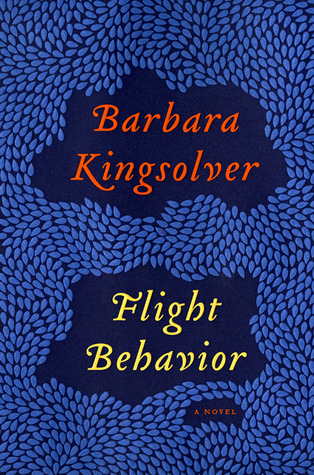 Reading this novel and Barbara Kingsolver’s Flight Behavior got me thinking about a symposium on the environment I attended in 2010, sponsored by the Rochester Zen Center. 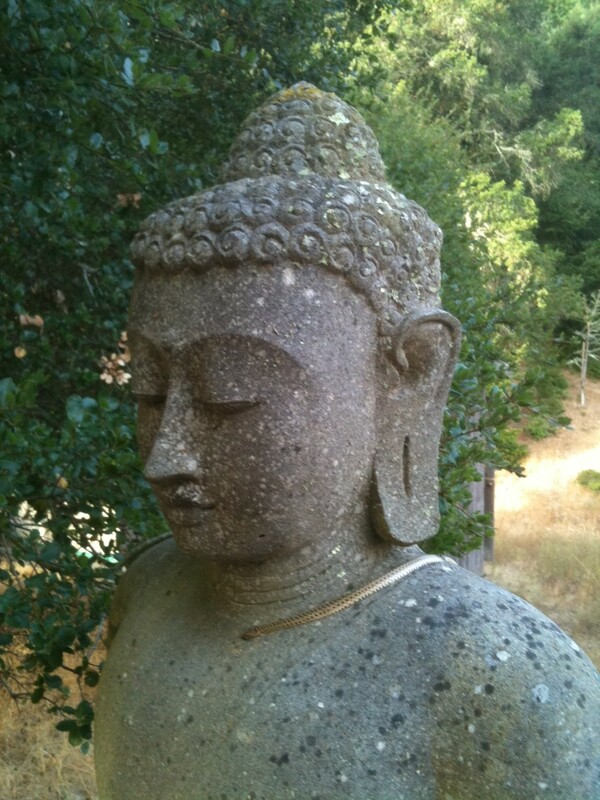 Rochester has many treasures, and the Zen Center is one of them. Founded by Roshi Philip Kapleau in 1966 and now one of the largest organizations devoted to Zen Buddhism in the country, it occupies one of Rochester’s stately old homes off of East Avenue near the George Eastman House. It has been extensively renovated, and the zendo is a stunning space for meditation. In her talk at the symposium, Macy encouraged us to act, regardless of any specific outcomes, no matter how overwhelming the challenges may seem. Author and Zen Buddhist David Loy also spoke. 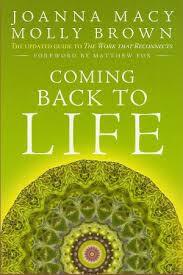 He, too, talked of the need for spiritual transformation on an individual level to save our earth as we know it. A tall order, but he seemed hopeful. Conservation biologist Michael Soule, also a speaker, is largely concerned with the dramatic diminishing of species. He believes humans must change their self-centered nature and overcome their selfishness to solve the the extinction crisis, but he is less hopeful. He wasn’t shy about saying he thinks it is already too late. If you’d like to know more about the Buddhist response to the environmental crisis, take a look at some of the books authored by Macy and Loy. I have read Macy’s World As Lover, World As Self, and I want to read more of her work. Chasing Ice is a documentary about environmental photographer James Balog, who set up time-lapse cameras across the Arctic to record the melting glaciers. One of the trailers shows an astounding view of a glacier calving – breaking up into an immense iceberg. Once part of a glacier becomes an iceberg, it melts much more quickly. We’ll be watching the documentary Tuesday evening at the Little Theatre. 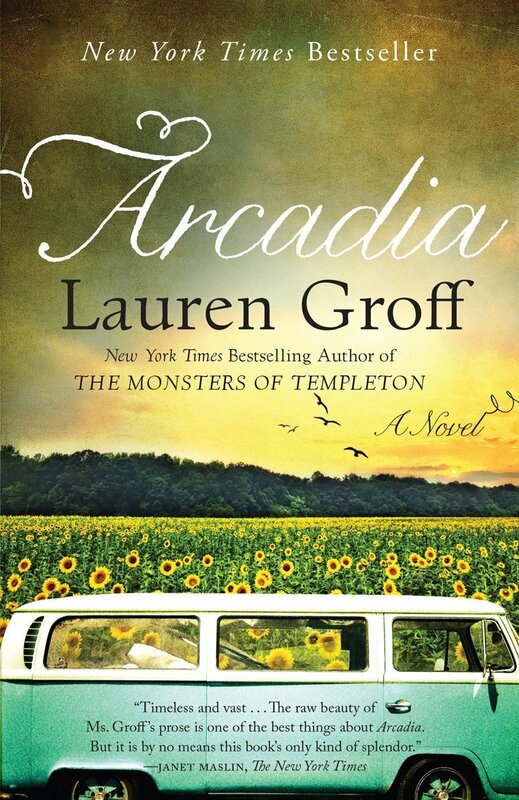 Introductory quote from Arcadia, Lauren Groff, Hyperion, New York: 2012. Quote from Zen Bow: “It Goes Along With Everything Else: Mass Extinction and the Great Turning,” Sensei Amala Wrightson, Zen Bow, 23(1), 3 – 8.